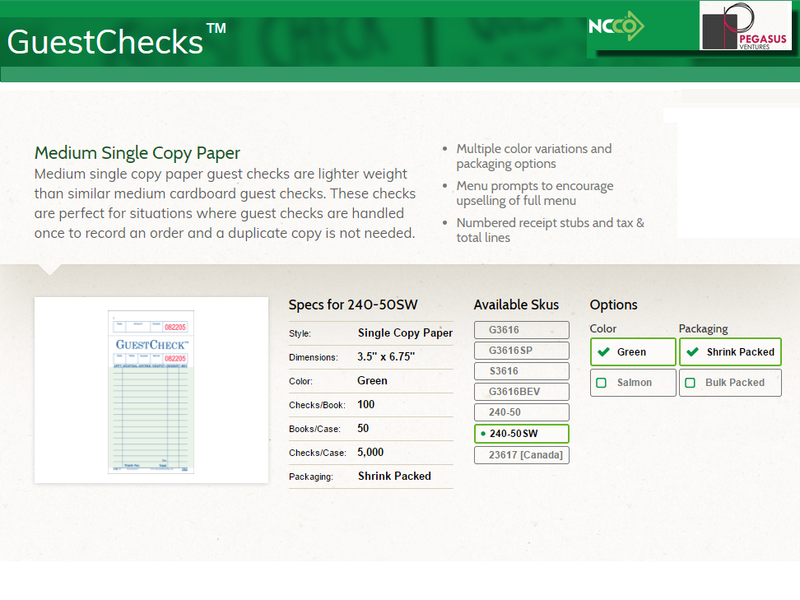 The 240-50SW medium single copy paper guest checks are lighter weight than similar medium cardboard guest checks. The 240-50SW restaurant checks are perfect for situations where guest checks are handled once to record an order and a duplicate copy is not needed. The 240-50SW Adams Guest Checks by National Checking Company have menu prompts to encourage upselling of full your entire menu with numbered receipt stubs and tax and total lines. The 240-50SW restaurant guest checks come shrink wrap packed using EarthSafeBond™ paper with 100 guest checks in each book and a total of 50 books in every case for a total of 5,000 guest checks in every case. Looking for a holder for the 240-50SW guest checks? Below is the AL-300 medium black guest check holder, GuestCheck™ holder with storage pocket. As with the entire line of restaurant guest checks sold by Pegasus Ventures, orders received by noon Eastern ship the same day. 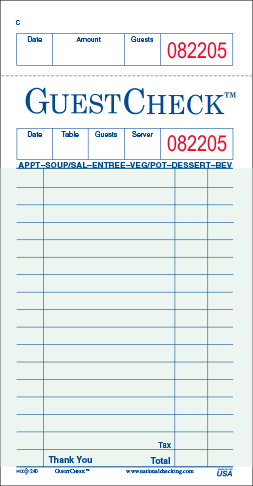 All other orders ship the next business day.The National Checking 240-50SW restaurant guest checks are always in stock and ready to ship to your restaurant, catering business or institutional kitchen! 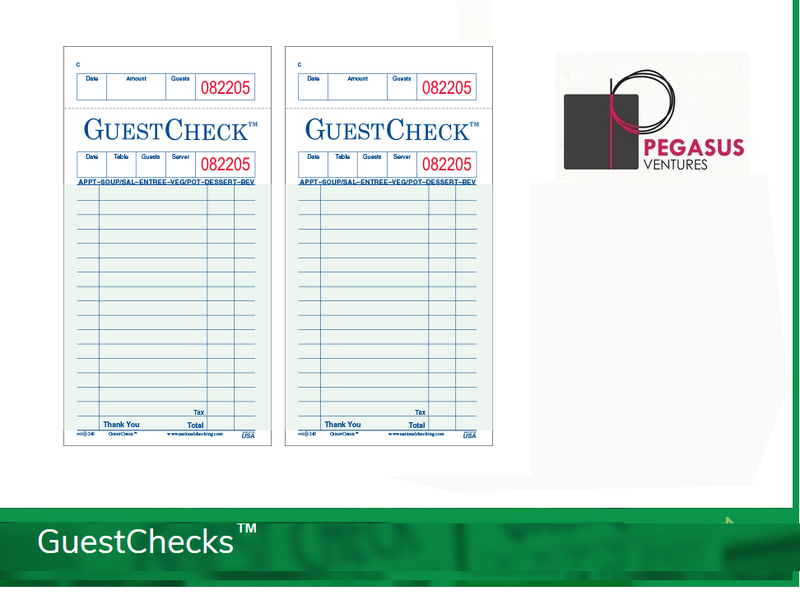 The 240-50SW Adams Restaurant Guest Checks are manufactured by National Checking Company and distributed by Pegasus Ventures.